This section of the William Shakespeare Timeline relates to the later part of his life and his family. The section Biography of Shakespeare provides comprehensive details. The Renaissance era was dominated by great historical figures such as Galileo, Erasmus, Sir Francis Drake (1540-1596) and Sir Walter Raleigh and the timeline can be used for a quick reference to important events and dates.. An exciting but dangerous age. This site contains many other timelines - please refer to the site map for further details of all Shakespearean and Elizabethan timelines. 1593 April 18, Registration of Venus and Adonis. Published by Richard Field (1561 - 1624). 1597 May 4, Shakespeare purchased New Place, the second largest house in Stratford for �60. 1597 First Quarto editions of Richard III, Richard II, and Romeo and Juliet. 1598 Willam Shakespeare is mentioned as "a principal comedian." 1598 King Phillip II of Spain dies. 1599 Shakespeare is recorded as having sold a load of stone to the Stratford corporation in 1599. 1601 William Shakespeare's acting troupe, the Chamberlain's Men, were commissioned to stage Richard II at the Globe theatre. 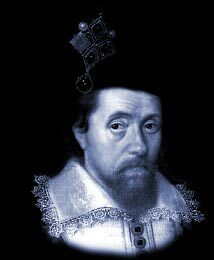 1601 September 8, Burial of John Shakespeare (William Shakespeare's father, nearly seventy years old. He had been married to Mary Arden for forty-four years. 1602 November, William Shakespeare purchased a cottage across from New Place, his private residence in Stratford. 1603 William Shakespeare acted in Jonson's Sejanus and is mentioned as "a principal tragedian." 1603 Sir Walter Raleigh arrested, tried and imprisoned. 1606 December 26, First recorded performance of King Lear. Richard Burbage, was the original Lear. 1609 Publication of Shakespeare's sonnets by Thomas Thorpe, without Shakespeare's permission. 1611 The first known production of The Tempest took place before King James I and his court. 1646 Joan, William's sister dies. This site contains many other timelines - please refer to the site map for further details of all Shakespearean and Elizabethan timelines.